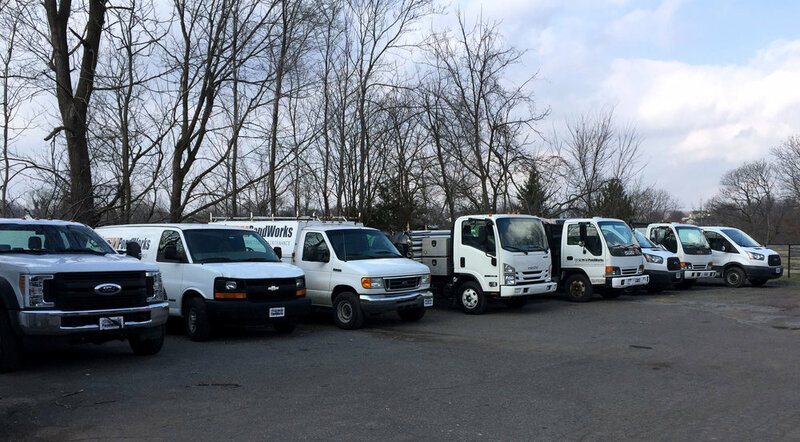 Over the years of providing pond maintenance services to our customers we’ve learned a lot about doing things right. We started out using submersible pumps to drain the pond and used hand tools, handheld pressure washers and handheld wet-dry vacs to clean up all the debris that builds up on the bottoms of ponds. This was back-breaking work that led us to think, “There’s got to be a better way”. 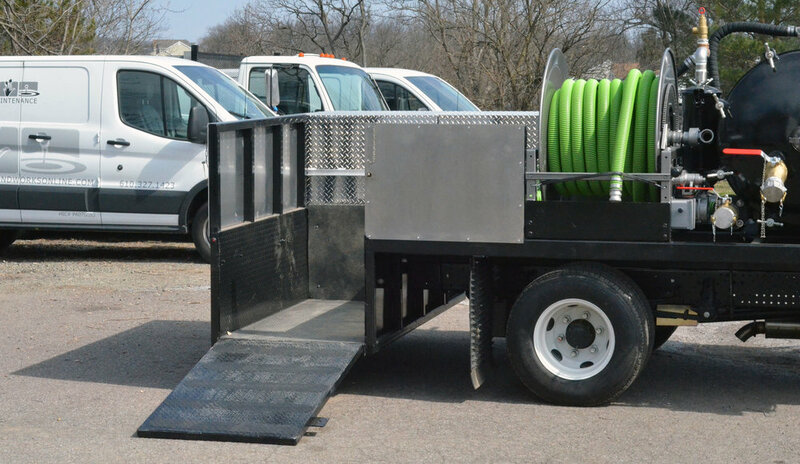 After consulting with a custom truck fabricator that specializes in commercial and industrial vacuum systems (think porta-potty cleaning truck), we commissioned our first vacuum truck system more than 10 years ago. We bought a second unit about 5 years ago after seeing the efficiency of what large vacuums, storage tanks and pressure washers can do to speed up our pond maintenance site operations. This winter we took it to the next level and designed, fabricated and assembled our third vacuum truck – all in-house. We bought a new cab-over truck body and some pre-assembled components (pump, hose reels, motor, etc.) and went to work designing a truck that meets all our needs and applies what we’ve learned about pond maintenance over the years. Partnering with Buchholtz Fabrication, we custom fabricated tanks, customized storage for specialized cleaning equipment, lighting, and power distribution. We integrated all the systems and assembled our best truck yet. This truck is lighter, stronger and more efficient than the rest and provides PondWorks with another advantage in the industry. Having the right tools, knowledge and staff makes for a powerful combination and we’ve very proud to being able to serve the region with professional pond maintenance services. Please feel free to call our office to learn more about what we do or to schedule a time for us to come clean your water feature and make it look better, healthier, and a more appealing component of your property.